Witness the specimens, hand-picked from the underwater life. 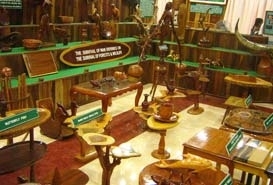 Fisheries Museum in Pot Blair is a treasure trove of knowledge about the exotic marine life in Andaman. Housing an aquarium with various species of fishes and other creatures which exist deep down the azure waters, the museum is a crowd-puller. 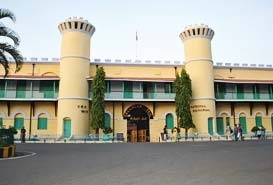 A trip to Andaman never gets completed without visiting the Fisheries Museum. Start exploring the museum by marveling at the small fishes to bigger ones and ultimately end up at whales and sharks. 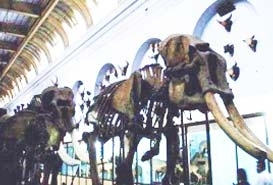 The specimens are preserved in glass jars and exhibited to the guests meticulously. 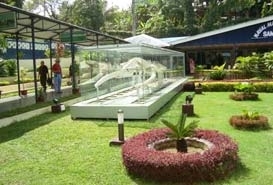 Displays of remnants of the Great Sperm Whale and turtles make this museum rank amongst the famous tourist spots in Andaman. Visitors get beguiled by looking at the species of the marine life endemic to the islands. These aquatic creatures dwell in the Bay of Bengal and Indo-Pacific Bay. Besides having glimpses of the underwater world, there are other things to do in Andaman as well. Shopping in the nearby markets keep visitors engaged. Views of the surroundings from the Fisheries Museum are astounding and matchless. Try to capture the photos of these views so that they keep on casting their spell on you forever. 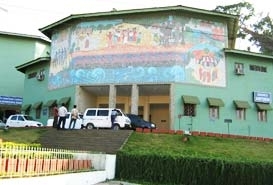 The museum remains open from Tuesday to Sunday, except on Second Saturday of the month and declared holidays. Monday is the weekly off. Carry a camera with you. However photography is possible by paying a minimal fee.